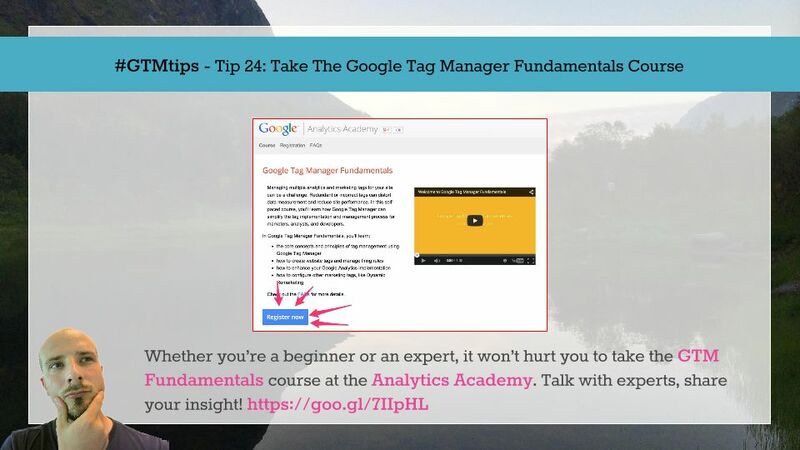 Take the Google Tag Manager Fundamentals Course at the Analytics Academy, then! And take it even if you have no idea what the tool is. Google’s really amped up their support as of late, with the new and improved Tag Manager Help, the refurbished Developer Guide, and the Solutions Guide for integrating Google Analytics with Google Tag Manager. It’s so great to see the big G really amping up their outreach, and to see more and more users take up this wonderful tool. Enjoy the course!